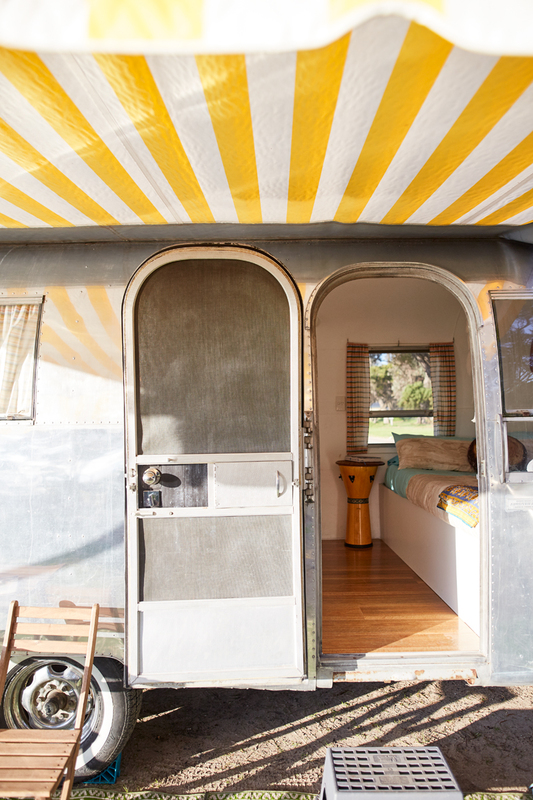 'Peggy Sue' is a 1966 Airstream Tradewind imported from California USA in 2012. She has an open design with minimal cabinetry to enhance the feeling of space. 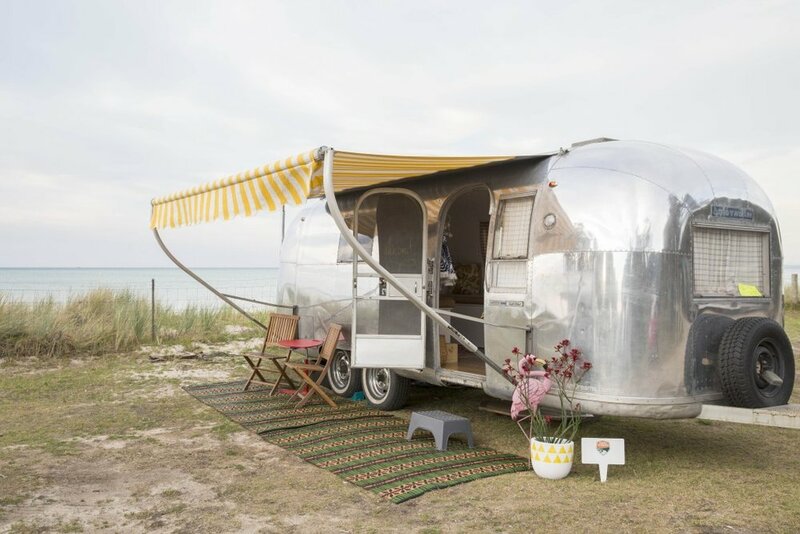 Airstreams have personalities to us.... Peggy Sue has a sunny, vintage boho soul! She's 24 foot long with dual axle. 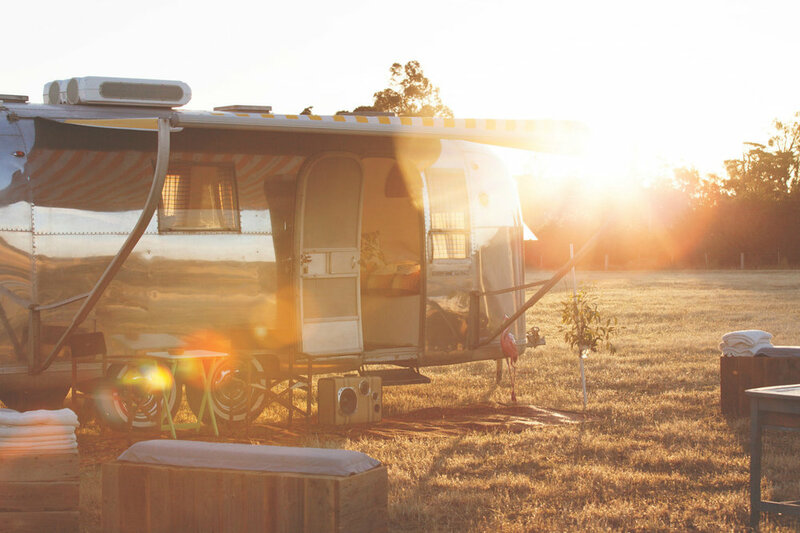 We tow 'Peggy Sue' to your chosen location before you arrive and set her up for you! After your stay we return to pack down and tow her away. Her hire includes delivery within our service range, towing, setting up, styling and packing down. Books, magazines & board game/s. NOTE: No cooking is allowed inside. ** We offer free hire on Sunday night when you book Friday and Saturday nights! Just request the free Sunday night in your booking request and pay the campsite fee for Sunday night direct to the campground. This offer is not applicable to public holiday long weekends.